Residential mortgage credit reports include merged information from the three major reporting agencies. 1. 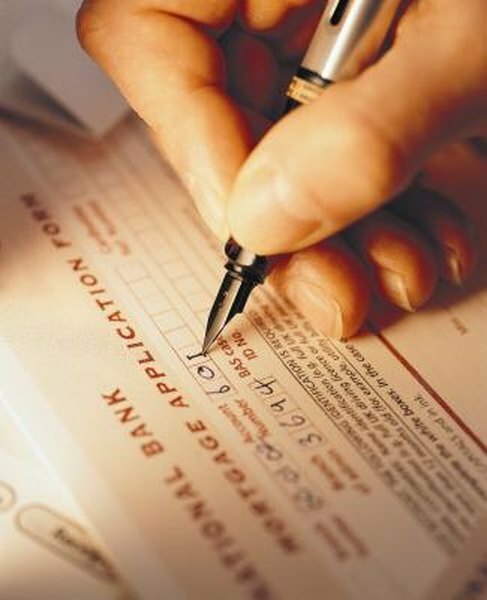 Does Bank Loan Pre-Approval Hurt Your Credit? When you want to buy or refinance a home, lenders request a residential mortgage credit report, or RMCR, which differs from a typical report. When you apply for a personal or auto loan, the lender requests a report from one of the three major credit bureaus. Should you apply for a mortgage loan, however, lenders get what's called a "merged report." Residential mortgage credit reports include information from all three national credit bureaus. Consumer credit files are now maintained in three national firms: Experian, Equifax and TransUnion. These organizations collect all the reported credit information that creditors provide on consumers. While you might think all three agencies would have identical information, the reports often report different information for the same person, and some differences are substantial. Lenders use residential mortgage credit reports to learn more than just your credit record. Banks and mortgage lenders also want to verify your employment and residential history to be sure you meet the guidelines set by major buyers of mortgage loans, such as Fannie Mae and Freddie Mac. These reports also minimize the probability that an outstanding loan or problem account will be missed by one of the three credit reporting agencies. Legal recordings that may appear on one bureau report, but not on another, include judgments, foreclosures, bankruptcies and local, state or federal tax liens. If you know that a legal record will appear on at least one credit report, prepare a brief letter of explanation before applying for a mortgage. Should a legal record show up on one credit report but not another, lenders will investigate further to verify the accuracy of the legal data. If you have not disclosed a valid public record, you'll need to offer your lender an explanation. An RMCR will note three credit scores, one for each reporting bureau. Depending on the accuracy and thoroughness of each bureau's information, the three scores can be close or significantly different. This is because each bureau uses a different algorithm and formula for computing credit scores, and the credit bureaus work with different source material. Most lenders will look at your three credit scores and use the middle score for your mortgage application decision. Unlike standard credit reports, residential mortgage credit reports include manual information updates at least every 90 days, so most mortgage lenders consider the RMCR valid for 90 days. Since most mortgage loans are closed in four to six weeks, typically within 60 days, from the application date, one RMCR is usually sufficient. However, if your loan closing is delayed or you've corrected some negative credit information, lenders may pull another residential mortgage credit report to have up-to-date data in your application file. FHA News Blog: What Is a Residential Mortgage Credit Report? MintLife: What Is a Residential Mortgage Credit Report? Does a Pre-qualification Affect Your Credit? How Do Mortgages Affect Your Credit Score? What Financial Statements Are Needed for a Mortgage Loan? What Is the Credit Score Scale? Does Having More Than 1 or 2 Bank Accounts Affect Your Credit Score?